Michigan Technological University is studying whether communities could transform abandoned mines into valuable energy storage. University researchers are partnering with the Marquette County city of Negaunee, population 4,500, on a pilot project that could help mining communities turn liabilities into assets. The prospect is particularly intriguing in the Upper Peninsula, home to hundreds of abandoned metal mines and cripplingly high electricity rates. “What really excites me is the possibility of reusing an old industrial site that no longer has any use at all — using that as energy stabilization for the entire Upper Peninsula,” Negaunee City Planner David Nelson told Bridge Magazine. “It would all be contained underground, which makes the surface still reusable for development in the future,” added Nelson, who said the city is slowly converting some of its sprawling former mining properties to parks. 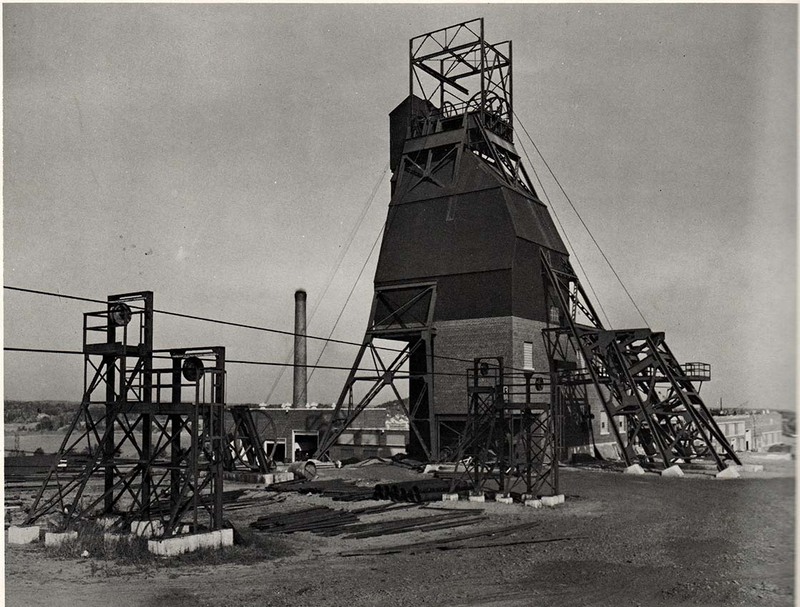 Funded by a $50,000 grant from the Alfred P. Sloan Foundation, a two-year pilot project will focus on the Mather B iron mine, which closed in 1979 and whose former administrative offices are now a high school. The idea is to novelly use the contours of underground mines to harness time-tested technology: pumped hydro storage. Surplus power would pump groundwater, which tends to flood mines when they are abandoned, up an incline. When energy demands are higher, the water would drop down the mine shafts through turbines that churn out electricity. Professors and students will investigate whether an underground pumped hydro storage facility is technologically, environmentally and economically feasible. They will design such a facility and will translate their findings for policymakers and developers. Another perk of using old mines: They’re generally already hooked up to power lines. Such power lines could require upgrades once a storage facility would be ready to go online, but that would be far less expensive than building new hookups. If it works, the researchers hope energy storage could bring more economic development to UP communities besieged by high power prices. Negaunee, served by regional power provider WPPI energy, doesn’t have the highest prices in the peninsula. But the UP’s biggest electric company — Upper Peninsula Power Company, which serves 54,000 residents in 10 counties — has some of the highest rates in the country, second only to Hawaii. “If you are offering inexpensive heating and cooling to businesses and facilities….it kind of changes the landscape there, where it attracts potential employers,” all while commemorating the region’s mining heritage, Scarlett said. The Buffalo Reef in the Keweenaw Peninsula teems with lake trout and whitefish. But a mountain of waste from a closed mine is slowly seeping into the water, prompting a desperate search for a solution. Kerry, we talked about that tech! The ideas we are discussing now will be more widely applicable, I think. But like most future energy systems, the key will always be to design for the local situation in order to take advantage of the which each community's resources offers. This year is a great ideal but remember what killed did Taylor air compressor big interest in cold and electricity there's no way the big utilities are going to let this technology be applied without putting up a big fight and they have the Buck's to back it. It like when we were encouraged to put up solar electricity panels it was promised that we could sell our surplus electricity but two big politicians from downstate bags by natural gas money got the law passed that the utilities only have to buy back a certain percentage of your surplus electricity they will happily take your surplus electricity but if you need it you must buy it back at retail rates that can killed the solar energy in the upper peninsula. I believe this idea who has great potential as a used source of energy but if the government ever gets hold of it or big utilities it will be dead in the water so to speak. There are many alternate energy generating sources but if there's someone further up the food chain that has the money they will suppress it in order to promote their form of energy. As I understand it the Victoria only went to the Taylor air compressor due to the fact that location of the mine topographically speaking would not allow a railroad to be put in due to the grade An the number of bridges that would have to been constructed to cross ontonagon river n two very deep gorge, s, and the fact that the river got very low in the summertime and could not bring coal to fuel the steam boiler year around n ship copper out, it was basically a matter of necessity either they went with the tailor technology or they would have had to add on quite a number of men to cut wood to fuel the steam boilers. It was greatly a matter of economics. Taylor offer his air compressor to the C/ H conglomerate but they turned him down flat. His technology was greatly used in the lumber Mills of Canada. This idea will fly with flying colors if you keep big government out of it and not allow any shares of stock to be bought up by big utilities that will suppress the technology..
As I read this article, I thought it would reference the Rocky Mountain Institute's "Sunshine for Mines" strategies, which includes electricity generation from shaft airflow; falling water also displaces air. Win - win! This seems like a perfect candidate for DOE funding. Oh wait. No oil involved. This seems like kind of a bad idea considering that you're essentially pumping out toxic mine water and storing it on surface. First of all, not all water in abandoned mines is toxic. Second, my understanding is it wouldn't be stored on the surface, but at a a higher level in the mine (some are thousands of feet deep). As LH wrote, this study is trying to design an inclosed system, where the pumped water would be stored in underground reservoirs. Ideally, there will be no change to the surface flows of local water. LH was also correct that most mine water in the Upper Peninsula is generally not contaminated like mines in other regions of the country, like coal mines that suffer from acid mine drainage. In the copper and iron regions of Michigan's UP, it is the stamp mill tailings that cause both physical and chemical water contamination. While some iron mines had sulfide ores that produce acid runoff, speaking very generally, only after the rocks have been pounded up to sand or slime do they produce enough chemical reactions to cause problems. Again speaking very generally, most water contamination comes from fields of stamp sand tailings and the mill sites, not the old mine locations themselves. There may be other conditions that cause problems for equipment, like water with lots of sediment, but a community considering a project like this will need to consider the conditions in its particular mine(s). Setting all that aside, if an abandoned mine is draining contaminated water into the local ecosystem, that is already the case. This type of energy storage system would probably not add to the flow of contaminants. So a community could ask itself, do we want to have an abandoned mine draining acid water into our local waterways, or do we want to have an abandoned mine with a power storage system installed and operating, generating revenues that we can then use to install a water treatment system to prevent the ongoing chemical releases. It may be that communities with contaminated mine drainage could instal utility-scale energy storage systems to establish the income stream to clean up contaminated drainages. Who knows where these studies will lead? Energy storage is measured in MWh; while the power pushing the energy into (out of) storage is measured in MW. Thanks for news about this potentially beneficial technology. Detroit has caverns of space left from salt mining. Is there any possible way that space could be used to provide energy storage?